RimBlades Trims4Rims is a lightweight, economical wheel accessory that adds serious style to your wheels. They are easily installed on most wheels. They are thin walled with a strong adhesive backing tape. 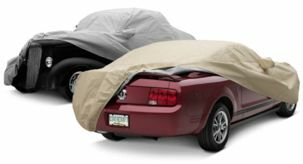 They are the perfect addition to wheels not requiring a high level of protection. Each RimBlades Trims4Rims kit includes 4 cut strips that fit up to a 22” wheel and cleaning wipes to ensure a long and lasting bond to the alloy wheel surface. Price includes RimBlades Trims4Rims for 4 wheels. RimBlades Trims4Rims is our economically priced wheel protection product. A stylish way to add minor protection or conceal existing rim scratches, Trims4Rims is the ultimate wheel accessory that instantly add serious bling to your rims.